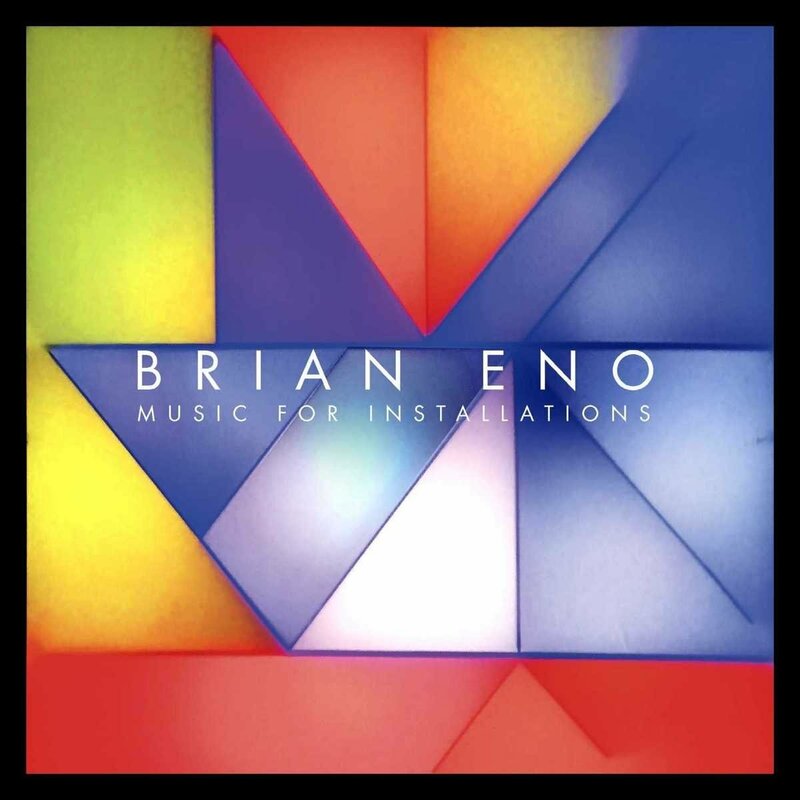 Brian Eno is generally credited with coining the term “ambient music” (and to have pioneered it, more or less, with the groundbreaking 1975 album Discreet Music), but more recently he has shifted focus a little bit and started referring to his compositions in this mode as “generative”–which is to say, created by a system that generates a constantly-changing array of sounds. His generative works tend to be more or less ambient in nature (quiet, soft, and intended to be used almost as aural “furniture” in the Erik Satie sense), and accordingly they are often created to accompany art installations. This voluptuously-packaged six-disc set brings together compositions created for that purpose between 1986 and the present; some are new pieces, some are older but previously unreleased, and some were previously available on a very limited basis. The final disc is titled Music for Future Installations, and consists of unreleased music compiled specifically for this set. Fans of Eno’s ambient/generative music know exactly what to expect, and will luxuriate in the generous helpings of floating, ethereal, contemplative sound painting on offer here, and since Eno’s work has long straddled multiple genre boundaries this box will be of interest to libraries that collect in either popular or avant-garde classical music. Jóhann Jóhannson died suddenly (and, so far, inexplicably) at age 48 just a few months ago, depriving the world of one of its most promising young film composers. 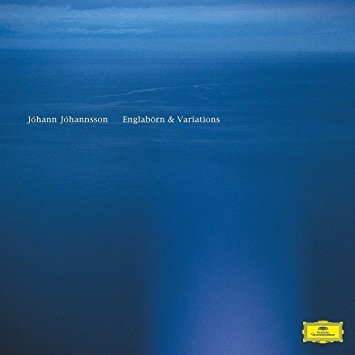 In his honor, Deutsche Grammophon has released a remastered version of Jóhannsson’s 2002 debut album with a companion disc of “variations”–not remixes, exactly, but re-realizations of the original pieces created by the likes of Theatre of Voices, Alex Somers, and Ryuichi Sakamoto. Englabörn was a fascinating album to begin with, one that took acoustic recordings of piano and strings and ran them (often very delicately and subtly) through digital filters of various kinds; as one might anticipate, the “reworks” on the second disc tend to take these sound manipulations even further, but always with deep respect for the original works. This is a deeply beautiful and (given the circumstances) unusually melancholy album. Gah, Brahms. Here’s the thing: most of the time I find his music too emotional and bombastic. But then he’ll suddenly come across with a melodic passage so achingly perfect that I forgive him everything else. 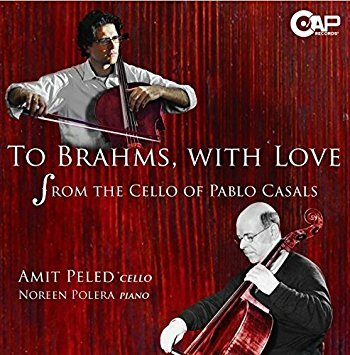 And I find that I encounter those moments more often with his chamber music, so I gravitate towards these smaller-scale works, and I haven’t even yet mentioned the fact that one of the selling points of this disc is the fact that Amit Peled (a magnificent cellist) is playing the 1733 Goffriller cello that Casals used for his own recording of these same pieces in the 1930s. So there are all kinds of reasons for a library to jump at the chance to buy this recording, which I can promise you will be especially beloved by the many listeners who love Brahms much more straightforwardly than I do. Scott Johnson is not the first composer to use the musical pitches of conversational speech as a melodic source, but he’s probably the one who has developed that technique most fully. 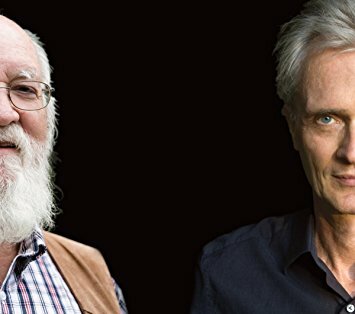 His latest album is an eight-part suite for large ensemble that takes spliced and cut-up recordings of talks on atheism by the late philosopher Daniel C. Dennett, transcribes the pitches generated by Dennett’s voice, and uses both the sound of his voice and the pitches it creates as the basis for a sprawling, complex, and enormously fun piece of classical music. “Sprawling, complex, and enormously fun” has long been the musical wheelhouse of the new-music ensemble Alarm Will Sound, and that group has long championed music that spans the worlds of avant-garde classical and pop music–never more effectively than on this magnificent recording of a magisterial (if polemically heavy-handed) work. 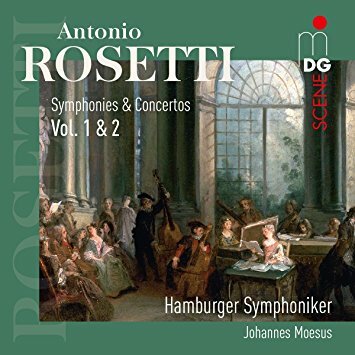 If Antonio Rosetti’s music doesn’t sound as Italian as his name would lead you to expect, it’s probably because his real name was Franz Anton Rösler, he was born in Bohemia, and he spent the entirety of his all-too-brief life working in Germany. He was a contemporary of Mozart and a likely influence on him, though of course Rosetti’s genius–substantial though it was–ended up being eclipsed by Mozart’s, as just about everyone else’s has been. This package brings together two discs of concertos and symphonies originally released in 2001 and 2003, performed by the outstanding modern-instrument ensemble Hamburger Symphoniker. In addition to the five symphonies on the program, there are concertos for flute and for oboe, and a symphonie concertante for two violins and orchestra. The playing sparkles and the recorded sound is excellent, and all of the music is purely delightful. 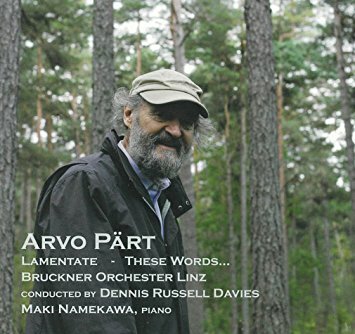 These days we mostly think of Arvo Pärt as a choral composer, and with good reason; even if his works for chorus weren’t what first catapulted him to international acclaim in the 1980s, those are the ones that have really cemented his reputation as a pillar of the “sacred minimalism” school in the decades since. These two discs remind us that Pärt is also an orchestral composer par excellence–and that his work has not only not always been minimalist, but has also not always been tonal. Before he fully developed his personal voice, he composed in more or less the standard mid-century style: atonal, serial. The ECM disc presents all four of Pärt’s symphonies, which were written in 1963, 1966, 1971, and 2008 — and the stylistic changes you hear between them are fascinating to track. 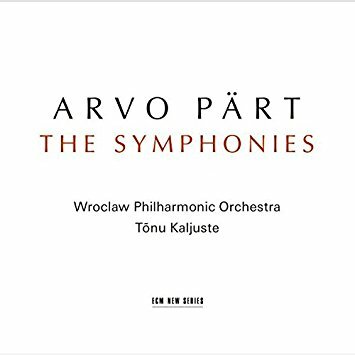 Two of his 21st-century orchestral works are presented on the Wroclaw Philharmonic album, and these will sound more familiar (and, let’s just say it, more comfortable) to those who have become Pärt fans within the past twenty years–though the opening sections of Lamentate have a whiff of the Wagnerian to them that some might find startling. All of the performances are excellent. No, this isn’t a Norwegian black metal album. (If it were, the title would be in Harry Potter-style faux Latin — something like Faeculum mordandum or Crucifixium infante innocenti). To my relief, it turned out to be a generous selection of pieces for lute from a collection owned by the musician and religious philosopher Edward, Lord Herbert of Cherbury. 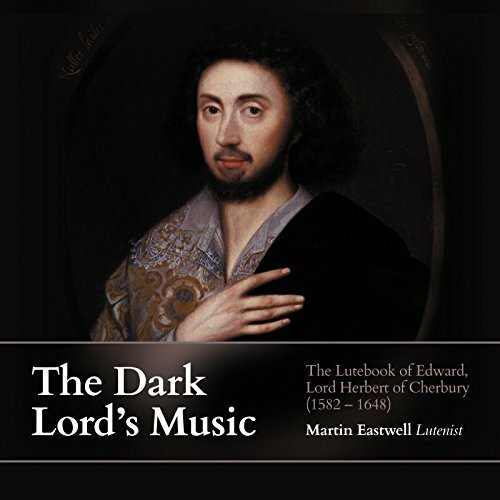 In this collection are works by (as one might expect) John Dowland and Robert Johnson, but also by such otherwise little-known composers as Du Cast, Cuthbert Hely, and Diomedes Cato–and the program concludes with a pavan by Edward himself. Martin Eastwell plays all of them with grace and panache, no mean feat given the technical difficulties some of them pose. And the production quality is remarkable: I’m not sure I’ve ever heard a lute so clearly and carefully rendered in a recording. You know that feeling you get when you suddenly realize that someone is still talking to you, when you thought they had stopped talking several minutes ago? I have to confess that I get that feeling often when listening to Debussy’s piano music. (“Oh, was that piece not over yet?”) So I approached this complete set of his preludes with — well, not trepidation exactly, but certainly low expectations of engagement. But pianist Terry Lynn Hudson makes a strong argument for these pieces. 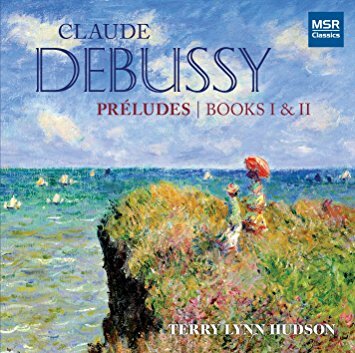 She doesn’t try to turn them into anything more exciting than what they are, but through her deep feeling for them and her understated virtuosity she shows how Debussy’s musical impressionism can be deeply engaging on its own terms. Her playing makes me feel like I need to explore further, and she’s the first pianist to achieve that. With me, anyway. These guys have now been playing together as the Standards Trio for roughly 30 years, and of course it shows. Each of them is not only a first-order musical genius in his own right, but also a walking encyclopedia of the jazz repertoire, and when the three of them play together the feeling is uniquely warm and alive. Their most recent recording has an interesting backstory: it was recorded live in concert in 1998, on the occasion of Jarrett’s return to performing after a two-year pause in his career brought on by chronic fatigue syndrome. The concert was never intended to be recorded for commercial release, but it went so well that Jarrett sought out the board tape and found it to be “not really bad at all.” Indeed, it’s really quite good in terms of sound quality, and the playing is electric. It’s an all-bop program: “Doxy,” “Scrapple from the Apple,” “Autumn Leaves,” etc., with some love ballads thrown in. 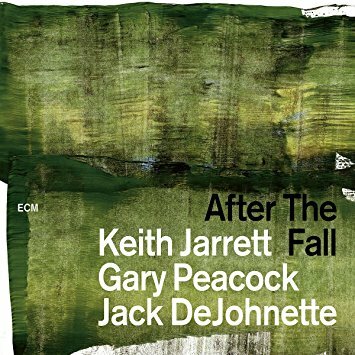 And Jarrett’s habitual vocal noises–usually so intrusive and distracting on his trio recordings–are barely audible most of the time, which makes this set a particularly good introduction to this group’s remarkable art. The thing about Thelonious Monk is that while his compositions were hugely influential and continue to loom large in the book of jazz standards (“‘Round Midnight,” “Epistrophy,” “Straight, No Chaser,” “Well You Needn’t,” etc.) he just didn’t write that many of them. This means that artists who want to pay tribute to his genius tend to try to differentiate themselves from the pack by means of creative settings and arrangements, and no ensemble has yet done so as winningly as MAST. This stylistically sprawling disc consists of a continuously-mixed assortment of Monk tunes presented as everything from Latin funk to glitchy jungle to noir atmospherics–and some of them in styles that are completely unidentifiable. 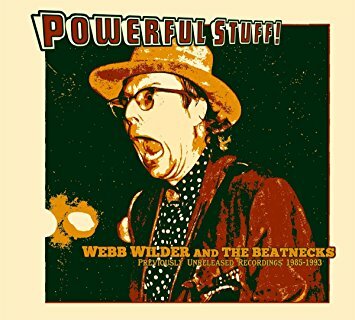 This album’s clearest antecedent is the long out-of-print Hal Willner project titled That’s the Way I Feel Now (and if you own a copy, could you burn me one? My 1985 cassette version is no longer fit for purpose), which was similarly wide-ranging and affectionate. A must for all jazz collections. Each volume in this series so far has earned a Rick’s Pick designation, and the streak continues. 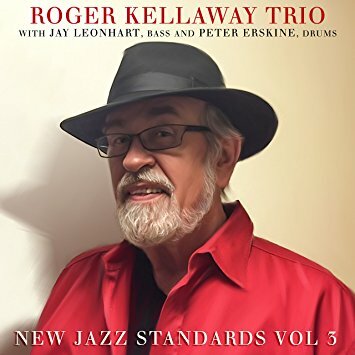 New Jazz Standards is the title of a collection of compositions by the great jazz trumpeter Carl Saunders, and on the third installment in this series of recordings drawing from that collection we have a stellar trio led by pianist Roger Kellaway and also featuring bassist Jay Leonhart and drummer’s drummer Peter Erskine. It may seem slightly arrogant for a composer to refer to his own pieces as “new standards,” but honestly, if he didn’t do it himself everyone else would: these are tunes with the kind of rich melodic appeal and timeless, straight-ahead structure that characterizes all of the traditional jazz standards, and it’s difficult to imagine a more compelling advocate for them than Kellaway. The term “gypsy jazz” has reference to a very specific musical subgenre: a fast, virtuosic, hard-driving style of hot jazz that emerged in France in the 1920s and 1930s among the Manouche population. Guitarist Django Reinhardt and his Quintette du Hot Club de France (featuring violinist Stéphane Grapelli) are generally considered the apotheosis of this style, and for this reason the name “Django” is invoked frequently in the names and album titles of contemporary bands that continue to foster and expand on the gypsy jazz style. The latest by the Django Festival AllStars finds the ensemble doing both–celebrating the music’s roots and enlarging its borders–and doing it in fine style, with both traditional headlong rave-ups and slow, sometimes dark and brooding balladry (notably a moving arrangement of John Williams’ main theme from Schindler’s List). Purists might find this album a bit too forward-thinking, but that’s why we don’t usually pay much attention to purists here at CD HotList. Recommended to all jazz collections. 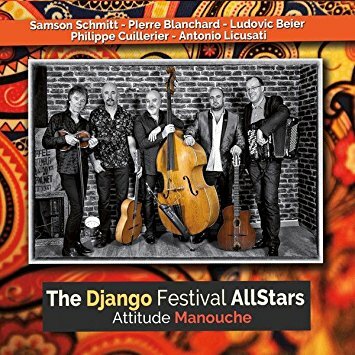 If you find the purists getting up in arms over the innovations of the Django Festival AllStars disc, then soothe them with this: a generous set of 1930s hot-jazz and swing standards (and originals crafted in the finest old-school style) recorded in such a manner as to approximate the sound of vintage 78 rpm shellac records (monophonic, natch) but without the intrusive surface noise and with a greater level of sonic detail and clarity. The overall sound is still a bit muted–little if any high end, hardly any bass definition–but the effect is charming and the tunes themselves are fantastic; good luck guessing which ones are new and which ones are old without peeking at the liner notes. Formalism, you say? Eh, maybe. But I’ll tell the anti-purists the same thing I’ll tell the purists: it’s the music itself that matters, not the degree to which it either preserves tradition or expands it. This music is a blast. 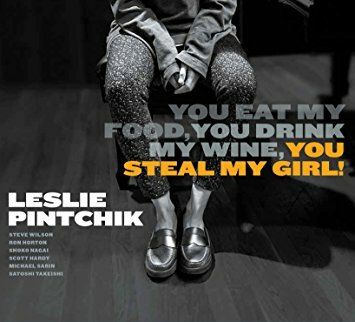 About a year and a half ago I called Leslie Pintchik “one of the finest bandleaders in the field of straight-ahead jazz right now,” someone who “plays piano like a combination of Bud Powell and Bill Evans.” That’s about the highest praise I know how to muster, and her latest outing just reaffirms my longstanding impression of her talents. This one focuses on originals, with two standard ballads (one of them, “Smoke Gets in Your Eyes,” played charmingly as a samba) tucked into the program near the beginning. This time out what I’m noticing more than usual is her phenomenally sure-footed sense of rhythm, which stands her in very good stead on the complicated title track and on the agitated, boppish fifth track (the humorous title of which is too long to cite here). 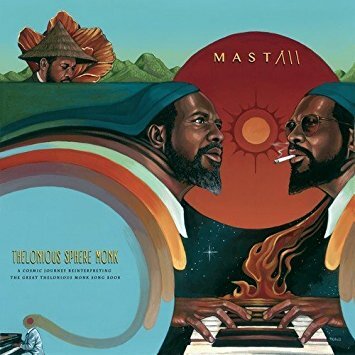 In fact, both of those tracks suggest another compositional point of comparison: Thelonious Monk. Anyway, this album is a must-have for all jazz collections. 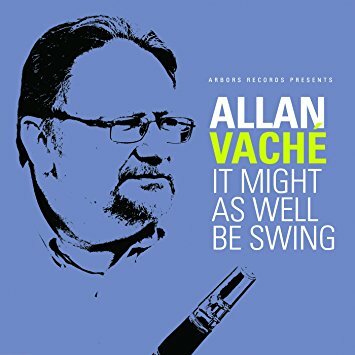 Well-executed small-ensemble swing is one of the great pleasures of life, and few are as well equipped to bestow that pleasure on the world as clarinetist and bandleader Allen Vaché, who has been on the scene doing just that for over forty years now. Here he delivers a wonderful meat-and-potatoes set of standards accompanied by pianist Mark McKee, bassist Charlie Silva, and drummer Walt Hubbard, with guest appearances by two other clarinetists: Erin Davis-Guiles and Vaché’s daughter Vanessa. There’s nothing groundbreaking or innovative here, just lots of world-class jazz played in a time-honored style by someone whose range, flexibility, and powerful sense of swing are unsurpassed. Is there any country-music instrument more widely beloved and commonly disparaged than the pedal steel guitar? (Well, maybe the banjo.) Its unique sound is disparaged as whiny and maudlin by some, and celebrated as soulful by others. 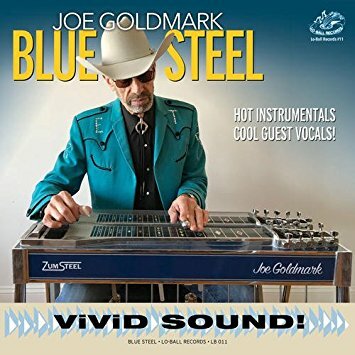 One thing is certain, though: in the hands of a tasteful player, the steel guitar can bring a new flavor to just about any genre of pop music, and that’s part of what Joe Goldmark is doing here. Yes, you’ve got your country weepers (“A Love So Beautiful,” “Look What Thoughts Will Do”) but there’s also a cover version of Graham Parker’s reggae-flavored “A Howling Wind” and a calypso version of Bob Marley’s “Natty Dread,” not to mention some R&B, blues, and even a tango (well, sort of). Goldmark isn’t a stunt guitarist; his playing is restrained and tasteful throughout. Very nice. There are lots of husband-and-wife folk duos out there these days, but I can’t think of a single one that hits the sweet spot of songwriting quality, playing skill, and perfect vocal compatibility as solidly as the Romeros do. They write their songs together, and both are fine players; Jason is also an extremely accomplished banjo builder and he plays two of his own instruments here, one an open-back model for clawhammer style and the other a resonator model for the more bluegrassy numbers. 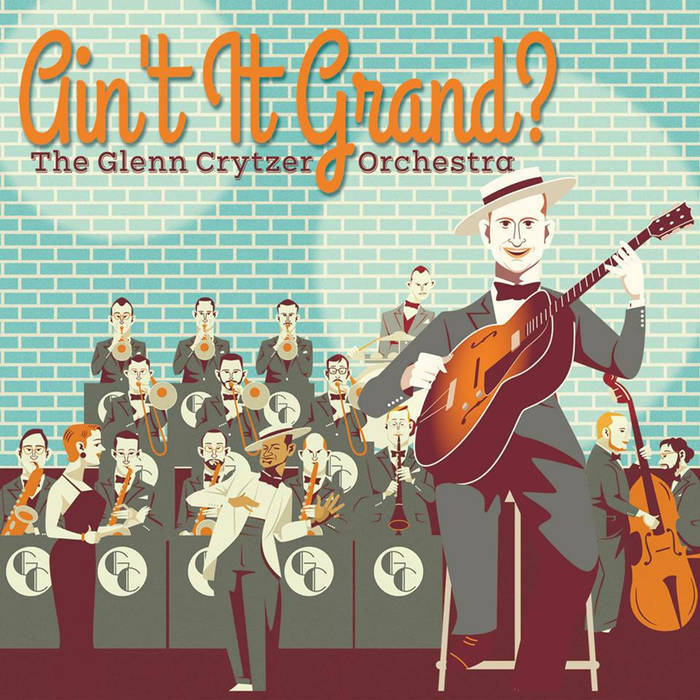 There’s an admirable stylistic range here: straight-up honky-tonk country (“The Salesman,” “Come On Love”), straight-up bluegrass (“Salt & Powder”), gently jazzy neo-Tin Pan Alley (“You Are the Shining Light”), quiet acoustic singer-songriter fare (much of the rest of the album), and all of it is both beautifully sung and deeply emotionally resonant. 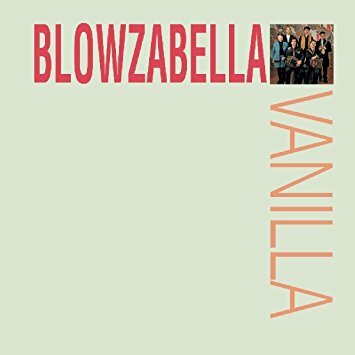 “Vanilla” is a pretty funny title for this album, because as Britfolk groups go, Blowzabella has never been anything like vanilla. Their sound is a bracing and rollicking mix of British and European folk traditions, one that draws on songs and tunes from all over the Continent and mixes them up with gleeful disregard for stylistic borders. This long-out-of-print album (originally issued in 1990) is being reissued now in honor of the group’s 40th anniversary, and finds them frequently sounding quite a bit like the Breton folk-rock group Malicorne: lots of hurdy-gurdy and stomping polka tunes, but with accordions and saxophones instead of crumhorns. The folks at Topic missed an opportunity to add some additional material to the reissue (this CD offers four more tracks than the original LP, but is identical to the original CD version), but it still weighs in at over an hour of outstanding music. Recommended to all folk collections. 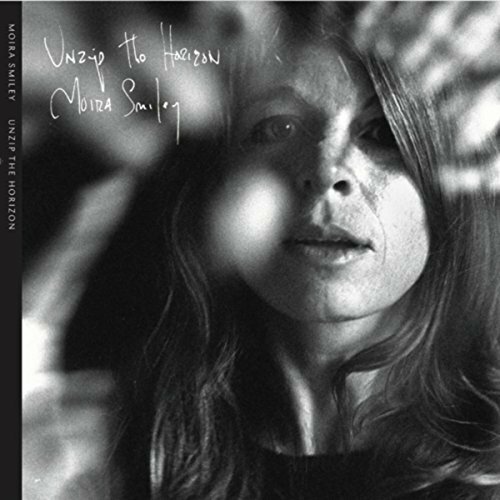 If what you’re looking for is “folk music” in the sense of traditional songs and tunes rendered in a style recognizably connected to a specific culture or ethnic community, then you’ll want to look elsewhere than the latest album from Moira Smiley. Instead, what you get here is a strange and magnificent collection of mostly original songs performed in a wide variety of mostly uncategorizable styles with mostly acoustic accompaniment. Sometimes there are clear stylistic influences: the strong Celtic undercurrent of “Wise Man,” the hint of Van Morrison in her word repetitions on “World Will Not Pause,” the Appalachian call-and-response feel of “Dressed in Yellow.” But everything somehow also sounds completely unique, and this is one of the most strangely beautiful and compelling albums I’ve heard this year in any genre (or none). If the opening bars of this quartet album sound familiar to you, it’s probably because you’ve recently been listening to King Crimson circa 1980: those interlocking arpeggiations in odd time signatures, those tritones, those rhythmic patterns going in and out of phase. And that’s not a criticism, by any means: we need more, much more, exploration of these ideas. 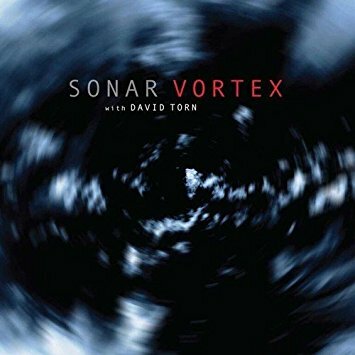 What Sonar brings to them that is particularly new on this album is the guest presence of David Torn, who contributes a distinctly different element to the band’s established voice–an element of dark intensity and sonic wildness that contrasts vividly and illuminatingly with the main group’s studied formal discipline. This is marvelous music that sounds like nothing else on the market right now. Prejudice disclaimer: there are lots of things that tend to push an album to the bottom of my “to listen” pile. Two of them are: guys making goofy faces on the cover, and the phrase “Southern rock” in the press materials. This one has both, but for some reason I slung it into the player anyway. (OK, I’ll be honest: I gave it a listen because I thought I might be able to classify it as “country,” and I always struggle to populate the Folk/Country section.) 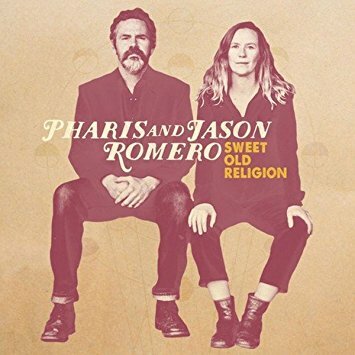 The bad news, sort of, was that it’s definitely not country; the good news is that it’s brilliantly fun and catchy R&B-flavored roots rock of a kind that I would not characterize as “Southern rock” except in the way that, say, Carl Perkins and Stevie Ray Vaughn were. The program is actually a crazy-quilt of live and studio recordings made in a variety of locations between 1985 and 1993. Alternately funky, greasy, rockish, chugging, and, yes, even occasionally goofy, this album will appeal to anyone who wished the Fabulous Thunderbirds had a bit more oomph. If you don’t remember the Fabulous Thunderbirds, then take my word for it: this one’s a blast. I can only imagine what Wilder and his band must be like live. Aaron Funk (a.k.a. Venetian Snares) and Mike Paradinas (a.k.a. μ-Ziq) are both pioneers of experimental beat-based subgenres of electronica: Funk helped to create and define breakcore, and Paradinas did the same with drill’n’bass. What unites them is a tendency towards the extremely complex, the funky, and the sonically assaultive. For that reason, both of these albums represent notable departures. 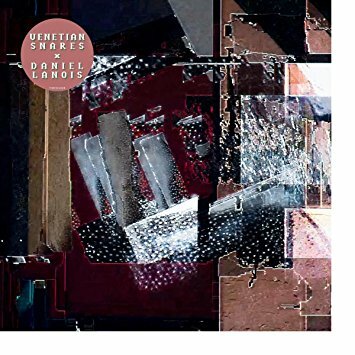 Funk’s collaboration with noted producer and solo artist Daniel Lanois finds him wedding his intricate beatmaking to Lanois’ dreamy and atmospheric steel guitar playing, which together create a constant sonic push-me-pull-you dynamic, with Funk’s breakbeats and samples skittering and smacking up against Lanois’ floating chordal clouds. 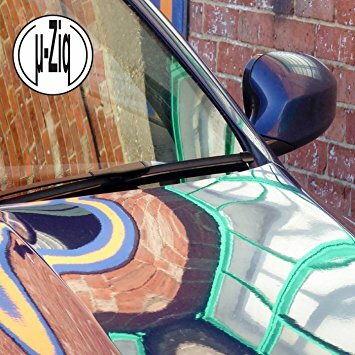 The new μ-Ziq album is actually not a new one at all, but a collection of material that was originally written and recorded in the late 1990s and never got released. If that makes it sound like a random and off-hand grab-bag of second-rate music, you’re about 30% right: random, yes, but off-hand and second-rate, no. This is remarkably wide-ranging music: the low-key jungle frenzy of “Bassbins” segues directly into the beatless and orchestral “Robin Hood Gate,” and “Durian” is composed mainly of multitracked wordless vocals layered with cheesy synths. There’s some silliness, notably in the form of ironic 1970s keyboard noodling, but overall this is a highly enjoyable album. 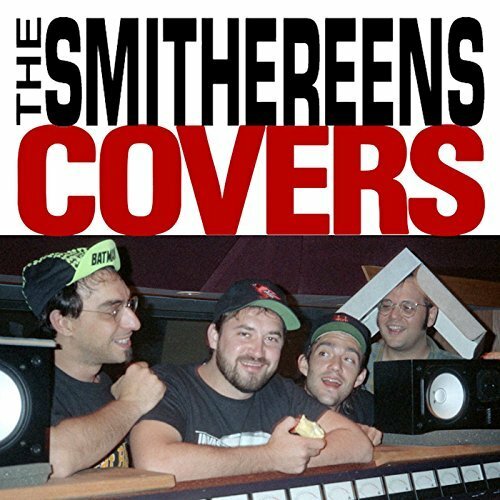 This album is just what it says: a collection of covers by the Smithereens, the premier meat-and-potatoes rock band of the 1990s, all performed by the group’s original lineup. Most of these tracks have appeared before in scattered locations — the B side of a single here, a tribute or soundtrack album there — but several are released here for the first time ever. As one might expect, it’s something of a mixed bag: covering Sam the Sham & the Pharaohs (“Wooly Bully”) was a great idea; covering Irma Thomas (“Ruler of My Heart”) was a gutsy move that didn’t pay off. Their version of the Clash’s “Up in Heaven” looks like a strange choice on paper, but the song ends up sounding like it was written for them. On balance, the album will make a great choice for libraries with strong pop collections — or for individuals still mourning the untimely death of Pat DiNizio, the band’s lead singer. 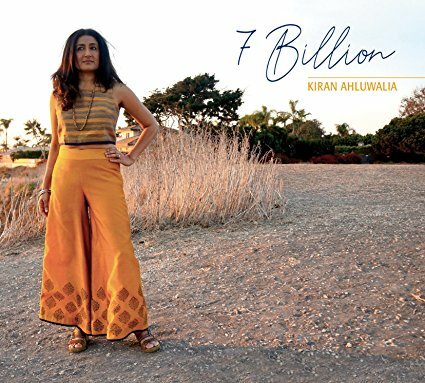 I’ve been a fan of Indian/Canadian singer Kiran Ahluwalia for a long time and I’ve listened to a lot of her work. Unless there’s something I’ve missed in her catalogue, I’d say that 7 Billion is by far the most rockish of her albums to date. That’s not to say that it’s “rock,” by any means: over the course of these six long tracks her lovely, sinuous voice weaves in and around instrumental arrangements that incorporate elements of Malian desert blues, hints of fado, intimations of Southern rock, and more than a hint here and there of Punjabi folk music. Her partner Rez Abassi, a brilliant guitarist and composer himself, produced the album and helped with the arrangements, and the end result is something both beautiful and unique. Highly recommended to all libraries. 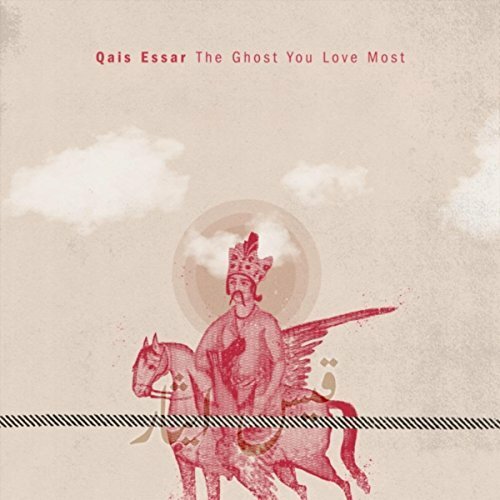 And speaking of rockish (and also jazzish), consider the latest album from composer and rabab player Qais Essar. Hailing from Afghanistan, Essar pieced together The Ghost You Love Most from recordings he made during various travels around the world, all of it based on his original compositions and featuring guest artists on instruments like fretless guitar, harp, kaval, bass veena, organ, and others. The sound is not exactly a fusion, but more of an emulsion: fully Indian and Afghan and Iranian tonalities emerging in conjunction with (but not fused into) Western rhythmic structures and chord progressions. Very, very nice. Are you planning a party? Want some music that is guaranteed to get people up on their feet, even while they’re turning to each other and saying “What the heck IS this?”? 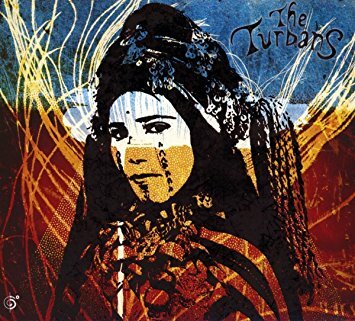 Then grab the new album by the Turbans, a seven-or-so-piece pan-European folk/dance/rock group that plays unapologetically mongrel music with palpable and infectious glee. The melodies you hear are often astringently modal, the rhythms are complex and multilayered, and the vocals are sung in a variety of languages. You’ll hear influences from Turkey, Bulgaria, Morocco, Israel, Greece, Spain, England, and France here: gypsy violin, North African percussion, Indian raga, American funk, whatever. As regular readers of CDHL will know by now, I can bestow no higher honor on an album than to say it’s “tons of fun.” Well, the fun of this one is measured by the megaton. 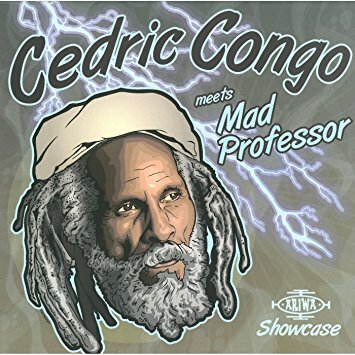 By billing himself as “Cedric Congo,” roots reggae legend Cedric Mytton is reminding you of his former role as lead singer for one of the most hair-raisingly dread harmony groups of the 1970s. The Congos’ album Heart of the Congos remains a monument of the roots-and-culture period and arguably the high point of creativity at Lee “Scratch” Perry’s Black Ark studio. On his new album, Mytton teams up with English producer Mad Professor, himself a pillar and architect of the UK roots sound; using a blend of old and new backing tracks, they create a new classic, nicely balancing digital smoothness with roots-and-culture heaviness — thanks in part to the Professor’s well-advised use of human musicians (including Horseman, Black Steel, and Leroy “Mafia” Heywood) instead of digital rhythm tracks. Each song is presented in “showcase” style, with a dub version following. A must for all reggae collections.